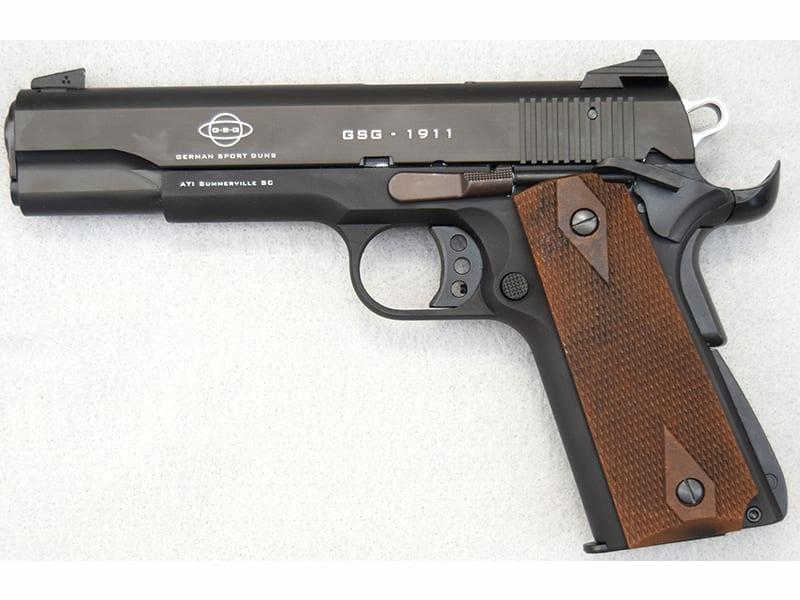 American Tactical Imports GERG2210M1911: GSG's M1911 brings updated and unique features to the 1911 platform: 22 LR high velocity caliber, 10-round magazine, semi-automatic recoil operated working system and a black anodized zinc alloy frame and slide. The GSG-1911 features the same weight and feel of a classic 1911 pistol but with 80 percent interchangeable parts, guaranteed 5lb trigger and threaded barrel. 22 Long rifle high velocity. 10 Round detachable magazine. Semi-automatic recoil operated. 5-inch barrel. Overall length 8.5-inches. 6 Grooves. 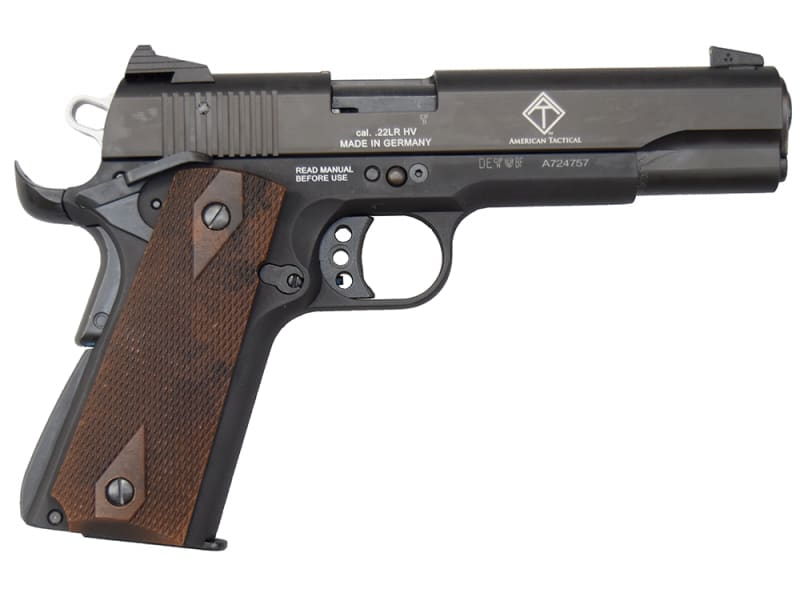 Features the same weight and feel of a 1911 pistol with many interchangeable parts. 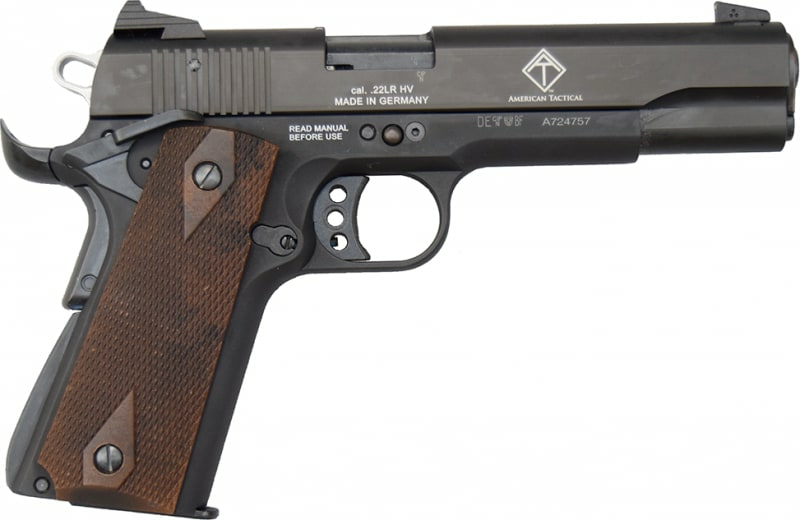 When John M. Browning invented his classic pistol in 1911, he could not have imagined that for over a century it would remain the standard of excellence in the industry and reproduced by almost every arms manufacturer in the world. 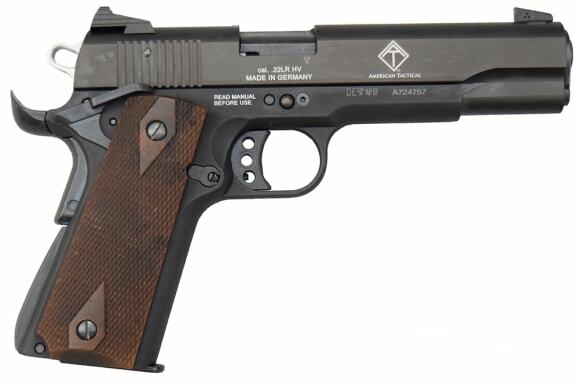 The .22LR version developed by GSG retains the 1911's classic uniqueness along with exciting new technology and features, including several safety functions to meet today's rigorous standards. From casual plinking to competitive shooting, the GSG 1911 belongs in the hands of everyone who wants an excellent pistol at a great price.